Haruki Murakami’s novels are perennially popular, due in no small part to a network of translators working in 50 languages. Ahead of the release of his latest title, Killing Commendatore, I caught up with long-time English translator, Ted Goossen. Where did your journey with the Japanese language begin? I went to Japan as a third-year college student for a year when I was 19 years old; we lived with a homestay family and studied Japanese language every morning and had lectures in English about Japan in the afternoon. It was 1968/1969 so it was a very contentious and exciting time with enormous student protests. After doing a PhD at the University of Toronto, and a two-year post-doctoral fellowship from the Canadian government I had no job lined up and was really wondering where to go next. A friend of mine recommended a book by Murakami called The Wild Sheep Chase. After reading that one, and The End of the World and the Hard-Boiled Wonderland, I just fell in love with it. It was very exciting to read for pleasure in Japanese. I had been doing PhD work, so most of my reading in Japanese had been focused on academic things, so to sit back and read for pleasure with no pressure, I just loved it. I wrote some things about Haruki in the Japanese press and we had mutual friends, so he knew who I was. Then he phoned me up and basically invited himself over, meeting up in an area just north of Toronto. He was just passing through? Literally just passing through! He was driving across the country with a photographer, and this visit became part of one of his travel books. He and I hung out and we got along very well so we started out as friends – there was no work involved at that point. He’d just heard a little bit about me and he thought it would be interesting to meet. After that I went to Tokyo with my family and visited Haruki and his wife at their apartment. We took our little girls, they were probably 8 and 10 at the time and he got to know the family. Later he got in touch with me to translate his work and it gradually built up since then. I started translating essays and short stories, then I was asked to translate his first two novellas, Hear the Wind Sing and Pinball 1973. When you’re translating his work, do you have to clarify ideas with him? The storytelling style is quite surreal. Yes, well I work with someone Haruki also works with. His name is Motoyuki Shibata. He and I worked together at the University of Tokyo, and we’re the co-editors of a literary journal called Monkey Business which includes a number of Haruki’s essays. Shibata helps me, he looks at my translations and if I need clarification, I can usually get it from him. He also looks at Haruki’s translations of American literature. There’s a new anthology of Japanese short stories by Penguin, edited by Jay Rubin. In the introduction written by Haruki, he calls Shibata his teacher and his coach, and that’s exactly what he is to me too. Haruki and I are both benefitting from Moto Yuki Shibata, he is a wonderful person but also an extraordinary linguist and translator. The perfect go-between! He’s a wonderful guy. Haruki’s work is so popular in Japan – there are queues in Tokyo whenever a book is released, but also in London too. What do you think contributes to his popularity in Western and English-speaking countries? That’s a very good question. I was part of a symposium in Tokyo a number of years ago, which gathered Murakami translators from all over the world – I think there were about 25 of us. Yes! There were people there from Hungary, China, Korea, France, North America, Russia… There were a lot of translators there and he’s doing well in all of those places. There’s obviously something about Murakami’s literature that connects with people. Part of it may be his themes, but I think part of it is just his excellence as a storyteller. He’s a wonderful storyteller, he really knows how to pull you in and he has a style that carries you along, seemingly in any language. He’s so big in Korea and he’s so big in China and he’s so big in Russia. So, it’s not just in English and Japanese, it’s in all these other languages. I think it’s a unique skill. 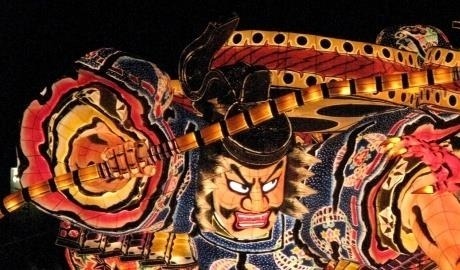 Do you think it has to do with his interpretation of Japanese literature? Sometimes when you read one of his stories, you have no idea where it’s set. In those early novellas, you have to search to find pointers that are aimed at Japan. When Japanese critics read it, they thought “this isn’t really Japanese literature, this is foreign literature, written in Japanese”. He’s had to overcome that prejudice since he got started. In all languages there are things that are difficult to translate, is that something you have found challenging in your work with Murakami? The style he developed is very much based on his readings of American literature, so sometimes you are looking for an expression that would be unnatural or new in Japanese. Let’s say ‘cut off your nose to spite your face’ to pick one out of the blue. If he translated that in Japanese, it’s an idiom that doesn’t exist. A Japanese reader would say “Wow, that’s really interesting!” but if the translator looked at that phrase and translated it back into English, it would be almost trite because it’s an idiom that’s so familiar in English. So, you have problems like that sometimes that you need to, in a sense, de-familiarise some of his stuff to create an equivalent reaction. In the Hard-Boiled Wonderland and the End of the World you have an untranslatable word, kokoro, it can mean ‘mind’ or ‘heart’. Alfred Birnbaum translated it as ‘mind’ which didn’t work, but then it would have been worse if he’d translated it as ‘heart’ because we have no word like kokoro in English. You have things like that, it existed back in [Natsume] Sōseki’s time and it exists with Murakami today. Those types of problems are insoluble, so you do the best you can. The key thing with Murakami is the rhythm; when you’re editing a draft of a translation, really what you’re striving for is to create a rhythm that carries the reader along. In the new novel that we just finished, Killing Commendatore, I translated a second book. Book one is translated by Phillip Gabriel and book two is translated by me, but it’s a single novel. The editor, Lexy Bloom, had a lot of work to do to synchronise the two. Did Killing Commendatore present any new challenges? What I loved about that translation was the voices – there’s so many characters. In the old days, Murakami didn’t have a lot of characters populating his novels, so he’s become more and more prolific in terms of creating characters, and they all have their own voice. So, you have to be able to hear that voice and distinguish different voices in the novel and that, for me, is fun. That’s really challenging, and I enjoy it. In the UK? Cheltenham Literature Festival’s theme this year is ‘East meets West’, with highlights including a talk about the Magic of Studio Ghibli; a Journey around Japanese Whisky complete with complimentary tastings; and A Tokyo Romance – a look at the changing face of the capital. Ted will be part of a panel reflecting on Murakami’s work at the Celebration of Haruki Murakami talk on Sunday 7th October. 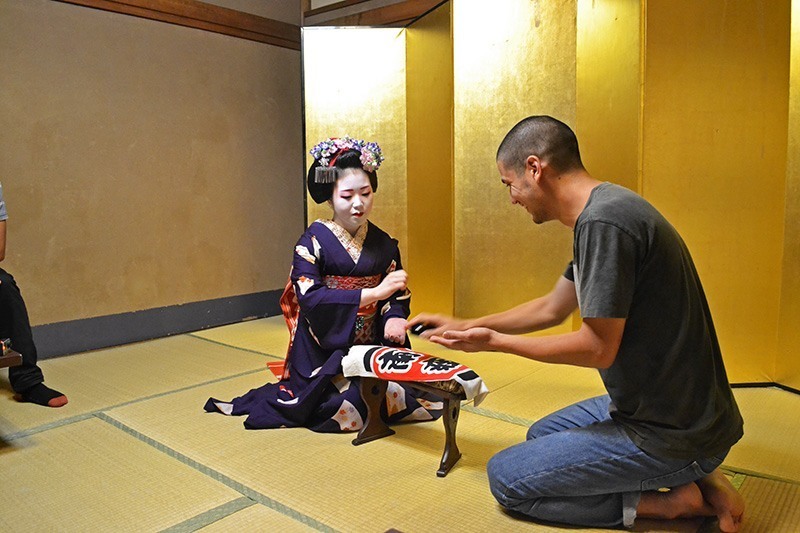 Explore Japanese cultural heritage on one of our exclusive Insider Experiences.